I'm not a vegetarian, and I've never been big on vegetables, but the veggie burger at Brick Road Pizza is fantastic. That got me thinking that I'd probably eat more vegetables if I found a different way to prepare them. So today I attempted to make my first veggie burger. The recipe I stumbled across online at allrecipes is for burgers created out of black beans, spices, and some veggies I wont eat (onions, peppers). So I modified its slightly, threw in some corn, and baked them. Not bad for a first try, but no deliciousness from Brick Road Pizza (though I think they use oats or rice as a base instead of beans). I'll have to keep trying and modifying until I find something super tasty. The ultimate test will be seeing if Comfort and Adam like them (they're vegetarian). 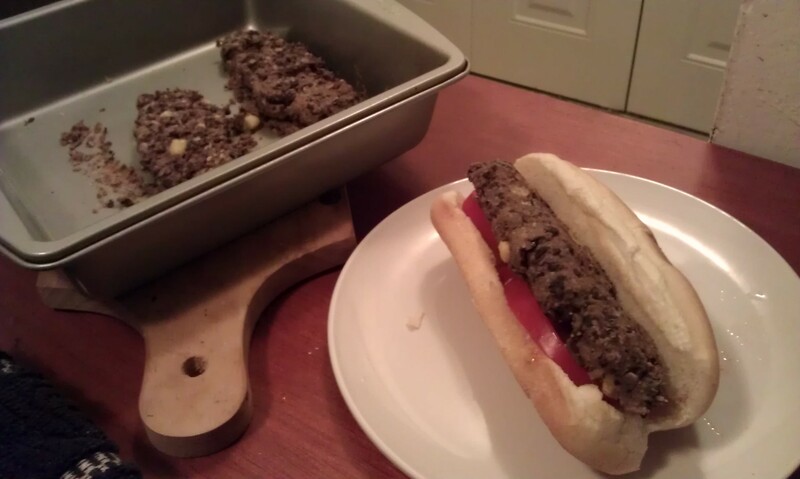 We were out of hamburger buns, so I made them more tube-like to fit a hotdog bun. For the past few years, I have been trying to cut back on the red meat and dairy products so when it comes to veggie burgers I have tried them all. This was a new recipe and my dad just got a new grill, so I thought that I would go ahead and give these a shot.